If having a drink named after oneself is any measure of success, then the band Gin Mill Hollow has attained it. At the Up North Bar in Madison, where the group grew together, the “Hollow Bomb” consists of gin, Redbull and other poisons. Gin Mill Hollow, two years into their journey, consists of three members: Dan Plourde, Josh “Juice” Giudice and Mark Norman. Plourde and Norman have known each other since high school, and even shared the same guitar instructor. The distance between their colleges separated the pair until Norman returned to Madison. They finally reconnected in 2014 when they were matched-up together for a last minute gig in a stroke of fate. From that show on they continued working together. They finally became a trio when Juice fell into the picture after showing his mastery of the mandolin. 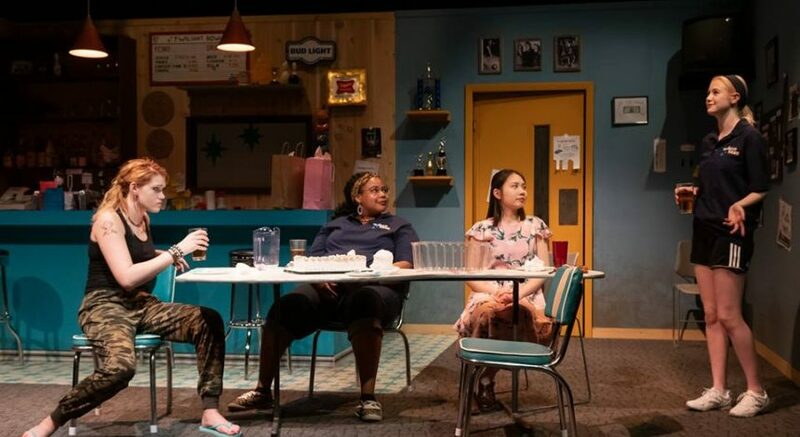 Over the past two years they have booked shows all over Madison and the surrounding areas, and in doing so have gained traction and have built up a following. The Up North Bar in particular holds a special place in their heart — it is where they came together as a band and honed their skills together. It has also become a platform for them to share new ideas and try new songs. A lot of friends gather there to hear them play, and they have a close relationship with the staff, Plourde said. Their music is acoustic folk rock delivered through various stringed instruments, but Plourde said it is hard for them to adhere to any one genre. They began as a cover band, inspired by artists like the Allman Brothers Band, The Wood Brothers and interestingly even Norah Jones and Steppenwolf, to name a few. As they grew as a group, however, ideas for original songs began to surface, and each member started to bring his own creativity to the table. 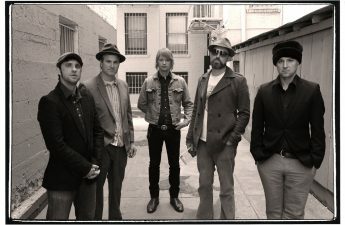 Eventually they ended with a handful of songs and decided to create their debut, titled Love Is King, featuring a track donning the same name. Their creative process for the album was jumbled. Each member contributed a foundation and the others contributed their own thoughts and ideas. Yet with this came an unintended consequence. When looking at their finished product, the band discovered that the combination of their songs projected certain unified themes. 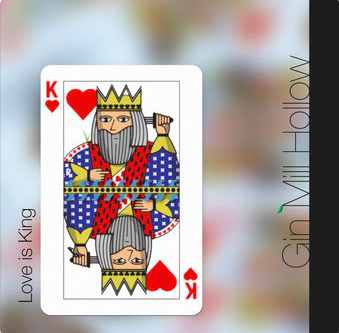 Coming full circle, Gin Mill Hollow is releasing Love Is King at the Up North Bar. Building on the momentum as a new album release, they have also been entered in a competition for breakthrough artists, hosted by the Madison Area Music Association, which will take place in early November. After the album is released, the band will continue a tour around the local area. But even after such a big year for the band, Gin Mill Hollow is not ready to rest. “In October, November, we will be pushing the CD pretty hard and promoting that, and I’m guessing by winter months we will be ready to get back into that creative writing,” Plourde said. Gin Mill Hollow’s impressive start has led to what many bands can only hope for in such a short amount of time. With stringed instruments in hand, and Hollow Bombs waiting, Gin Mill Hollow is ready to reveal their debut, and further, themselves.